Take a look at these two images they were shot using natural light (no flash), using exactly the same settings f/3.5, ISO 400, 1/40 sec, lens EF50mm 1.4 but only 1 minute and 47 seconds apart! 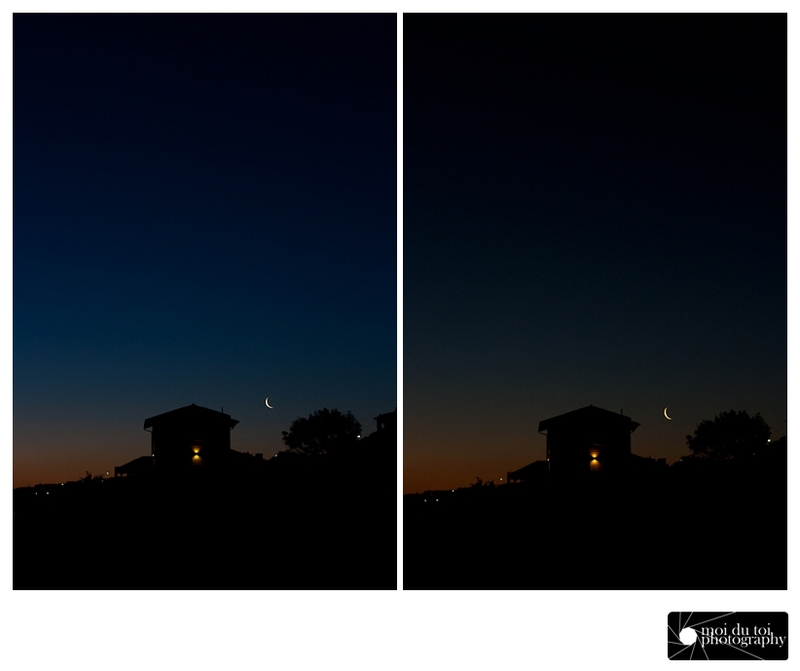 There is a significant difference between the images, do you notice how much darker the blue part of the sky is in the second image? Why is that? It’s because earth, that little planet we call home, is hurtling through space at a tremendous speed which is only really noticeable at sunrise and sunset. How to get the shot before the light changes? Make it your business to know the ins and outs of your camera, learn how to shoot in manual mode and master the art of changing settings quickly because the light is constantly shifting and if you fiddle around too much trying “this” and trying “that” because you don’t understand the photographic triangle or how exposure works then chances are the moment will pass and you will lose the shot. Thanks Margs, it’s the double story house that used to be to the right of the house we rented in Dana Bay.